F.A. Mitchell is a long standing plywood and MDF supplier to the trade and DIY builders and specifiers in Sydney and around Australia. 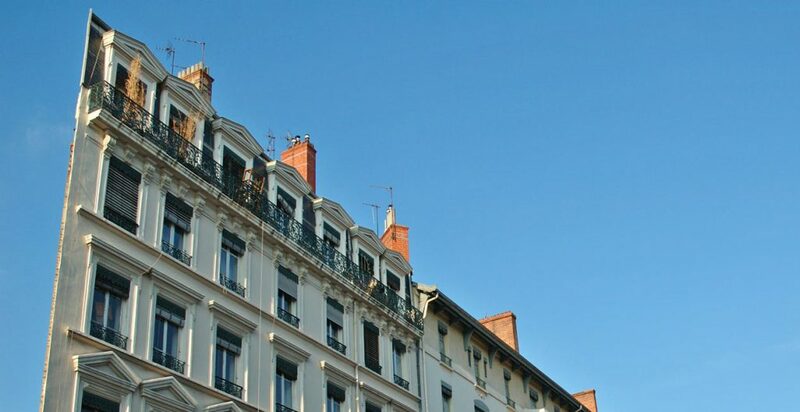 We’re a family company supplying a range of wood panel products and quality roofing tiles to the building industry, joinery industry and commercial projects where architecturally designed applications call for tradition and expertise. We distribute an extensive range of structural plywoods, MDF panels, structural wood panels, acoustic designed panels and slate roof tiles to meet most design requirements. Browse our website for more info about our structural plywood products and services. Or feel free to give us a call and we can discuss your specific needs on (02) 9646 2777. We pride ourselves on providing you with useful hints on product applications that will enhance your project and give you lasting satisfaction. Whether you are a home builder, developer, architect or constructing a film set – speak to us to find out what will best suit your project and budget requirements. Whether you are looking for high quality materials, the exclusive touch or simply a fantastic product that looks and works just right, we can help you. So call us now on (02) 9646 2777. 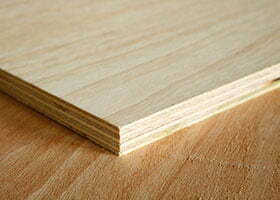 We supply many different types of plywood. Check out our extensive range, including furniture grade, exterior, load bearing, fire retardant and marine plywood. Find the material that’s just right for your project. 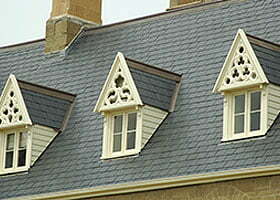 F A Mitchell have a range of slate options for roofing. Our top quality slate range includes diverse colours, material and sizes. 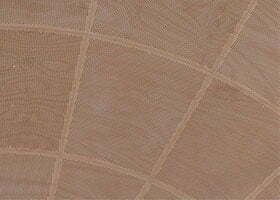 Sonapanel is an Australian grown and processed plywood that provides three-in-one benefits: Acoustic (2.75% up to 39% of surface loss), fire retardant and termite resistant. 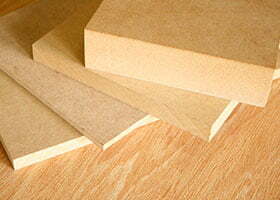 This plywood is specially treated to reduce susceptibility to termite attack. 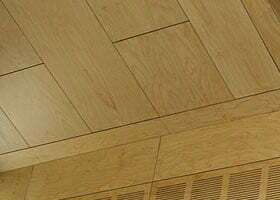 It is suitable for interior use on walls and ceilings. It can also be used as a backing and bracing panel. 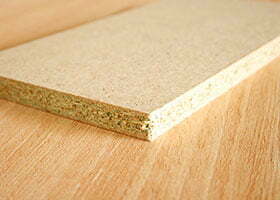 Medium Density Fibreboard (MDF) is a stable, homogenous wood fibre product with a super fine finish. Available in Standard or Moisture Resistant (MR) formats. We supply various levels of particleboards, ranging from Standard (STD) to moisture resistant (MR) and three layered for flooring. Applications including furniture, shelving, bathroom vanities and interior flooring. It’s easy to think of MDF and Plywood as the same thing when you see them in the home improvement section of your local store. But they could not be more different, where the strength of one is the weakness of another. Find out the differences between the two and where best to use them. 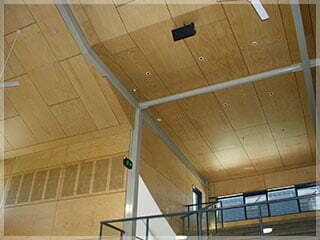 FA Mitchell recently supplied speciality Ariaply panels for exterior plywood cladding in Sydney. This was for the Gregory Hills Commercial Centre, near Campbelltown. The builder, Salex Ceilings contacted us directly to supply them with ariaply plywood at a specific colour, thickness and insulation method. The results are an impressive looking, modern and lasting exterior soffit area.